The happiest, most well-adjusted people are grateful ones. There is beauty in gratitude. It's the time of year where we stop and reflect on all we're thankful for. Gratitude is such a beautiful trait. I notice it in little kids who are overwhelmed you spent time to play with them or the sweet touch of an elderly woman who understands how short this life is. Here in the states, we celebrate Thanksgiving tomorrow. We gather together over a big meal with family and loved ones to connect and remember all we're grateful for. I like that Thanksgiving comes before the rush to buy presents. It's important to remember we already have so much. 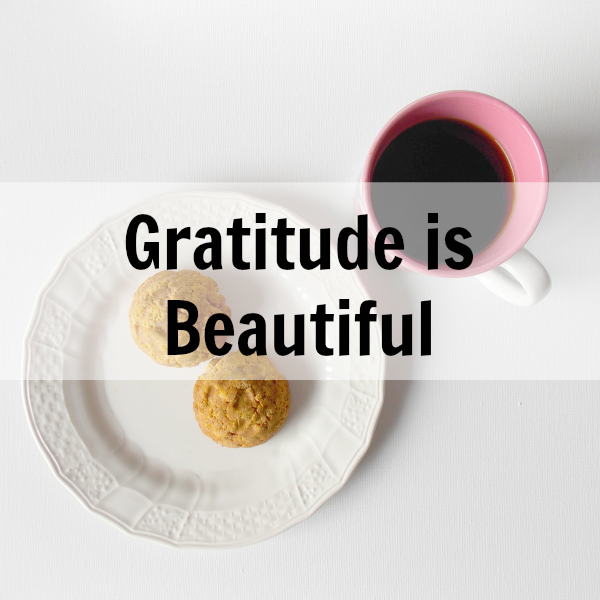 Being grateful gives us the opportunity to savor what opportunities, and relationships we have the privilege of enjoying. It spurs us to give back. I hope as you reflect back on all that's happened this year, there will be hidden gems to uncover, remember, and be grateful for. For without gratitude, life is dismal. On that note, I want to thank you my dear readers. You're an inspiration to me! I love sharing my heart, my life and my wardrobe with you. Your continued support and your precious words always lift my spirits. This little space is my home on the internet and sitting with coffee or tea between us, I hope we meet here for many years to come! Have a wonderful, grateful week! Thank YOU for being here, Catherine! I always feel refreshed after looking at your posts! What sweet words, Faith, thank you!